Young Guru is a producer and DJ, most known for mixing the majority of Jay Z's albums. Because of his vast experience in sound engineering, production, and A&R for the acclaimed Roc-A-Fella Records and Def Jam Recordings, he is known as “The Sound of New York.” Young Guru frequently teaches and gives advice to young and up-and-coming producers, urging them to get to know the tools of the trade well and not get encumbered by the abundance of technology available. Check out some of Young Guru's favorite studio and lifestyle gear, as well as his very awesome headphones made in collaboration with AIAIAI. What kind of Studio Equipment does Young Guru use? Click here to let us know! The Symphony I/O is Young Guru's audio interface of choice. In an interview with Apogee, when asked what features of it he likes he responds "Obviously that you can use it for Logic and Pro Tools. Someone should have thought of that a long time ago, to run Pro Tools HD and Logic, or anything native, on the same system, to be able to switch between HD Pro Tools and another native system is incredible... I loaded up some of my past sessions that I had used with another system, and it sounds 100% better coming out of the Symphony I/O converter." 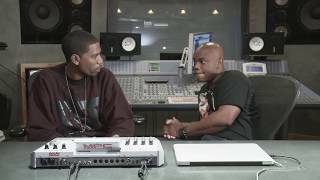 In an interview with Akai, Young Guru can be seen using the Akai Professional MPC Renaissance Controller. He talks about how he can bring over his classic MPC 3000 sounds and beats via a USB key, and how the MPC Renaissance acts as an audio interface. "An SSL is my favorite board. Not to say I don't like Neve or API boards, it's just what I prefer, I like an SSL 4000." "EQ-wise on drums I love API 550A's or B's, doesn't matter, there's a little difference in frequency range… but I love both of these pieces of gear." "A Distressor compressor is probably my favorite compressor just because it's so versatile. And the amount of sweet distortion that you can get with it. It's one of the most modern pieces of gear that I've picked up and was like 'OK, this is great someone added on to the legacy of gear.'" "MPC 3000 is always gonna be my favorite beat machine ever, for whatever reason. I've owned them all, and not just Akai beat machines - that one just has a sound to it that i think just can't be duplicated." What kind of Software Plugins and VSTs does Young Guru use? Click here to let us know! What kind of Software Plugins and VSTs does Young Guru use? What kind of Headphones does Young Guru use? Click here to let us know! These headphones were made as a collaboration between AIAIAI and Young Guru. Young Guru tweets "Me and @AIAIAITweet got together to create something great: http://www.aiaiai.dk/youngguru"
Young Guru's goal was to create a headphone that would not only be useful for casual listening and DJing, but also provide a flat frequency response so they can be used to accurately reference mixes. This means no artificially boosted bass or high frequencies. What kind of DJ Setup does Young Guru use? Click here to let us know! Young Guru can be spotted using a Rane TTM 57SL mixer in his live DJ sets. Young Guru's turntables of choice for DJing are the classic Technics SL-1200. Young Guru uses Serato to DJ. He runs Serato Scratch Live software on his MacBook Pro. What kind of Microphones does Young Guru use? Click here to let us know! "For crunchy punchy drums I go with API preamps, 512 are incredible." 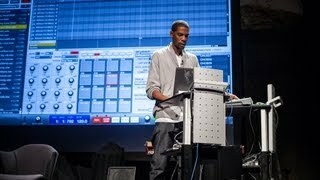 What kind of DAWs does Young Guru use? Click here to let us know! Logic Pro can be seen in a screenshot Young Guru tweeted. The two DAWs he prefers are Logic Pro and Pro Tools. Young Guru tweets "there is so much new stuff in logic 10!!! I feel like I need a class!!! Amazing!!!" "Final got Ableton and Serato Scratch to talk with the Bridge. Now I only need one computer on stage!!!!!!!" "Between Logic X, Ableton Live 9, Protools 11 I have so much new stuff to learn and I love it!!!!!!" What kind of gear & equipment does Young Guru use?  Click here to let us know! Looks like Young Guru ordered himself a Mac Mini.  Along with a Mac Mini and Apple Wireless Keyboard, Young Guru own this Apple Magic Trackpad. Young Guru uses this Apple Wireless Keyboard for his Mac Mini. Young Guru's gear is on Equipboard.